Genuine Kia Picanto rubber all weather mats. Whatever adventure you’ve been on, don’t worry about wet, muddy or sandy shoes when you get back in the car. 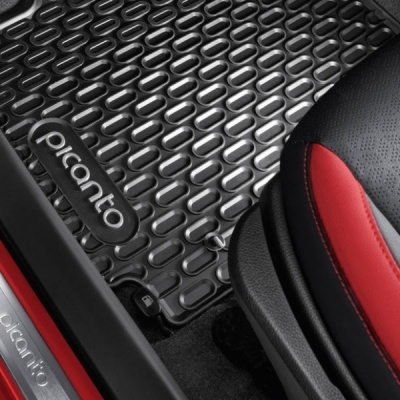 These durable and easy-to-clean floor mats protect the whole of your Kia Picanto floor. Tailored to fit the Picanto, these mats are black with the Picanto logo in grey and fixing points to hold them firmly in place.